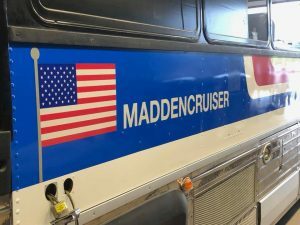 Green Lines Transportation was proud to help facilitate the transformation of the original “Madden Cruiser”. 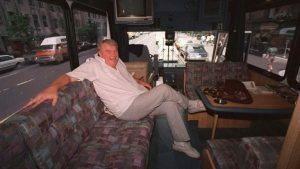 This legendary bus was used by Pro Football Hall of Fame coach, John Madden during his broadcasting career. 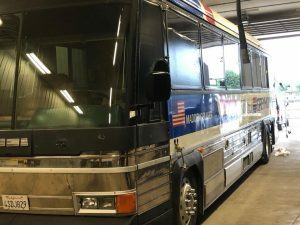 The Pro Football Hall of Fame approached Green Lines Transportation to help transport and store the bus, as well as help coordinate the various vendors who helped to clean, design, and wrap the bus to transform it back to the original look. Our team had fun helping tackle this unique project!